Here we are, back to what the blog is about: Cello. We are sharing these pictures despite the “show only your best” photo rule. Cello is doing great with the new, different things I am asking him. We had popped over a crossrail maybe 3 times before this jumping session, and remember that he is a BLM mustang and he is not going to be a hunter jumper. We are working on baby stuff in that aspect. The point here is, we are going over willingly and happily, and the little tiny bit of jumping we are doing has been beneficial. 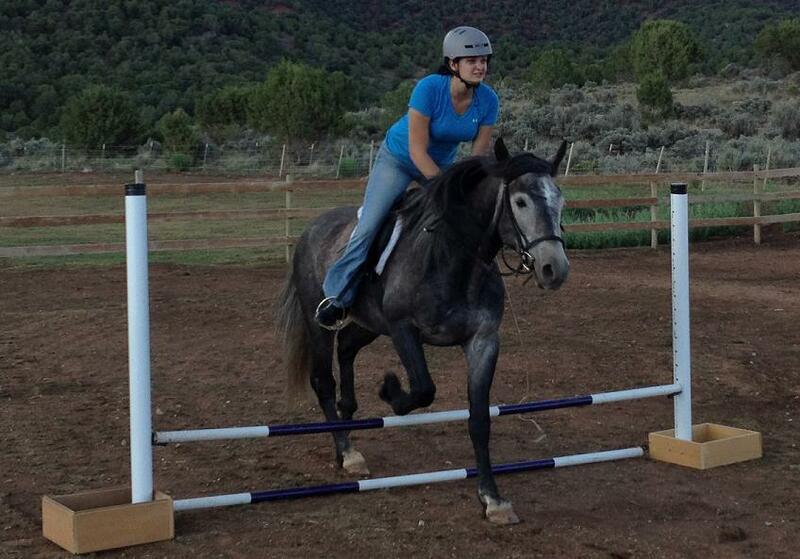 A lot of horses won’t life their knees/show hunter form over jumps unless they have a reason to, ie. a larger jump than we were tackling. We will eventually develop that over any jump, but we are in the beginning stages, laying foundations. Cello jumps correctly when free jumping, and we did go over the straightrail a few times with knees up (just no great pictures of that, but there are two or three witnesses!) It will get there. Again, not bad for 180 ish days out of the wild! Oh and- we are getting the trailer tomorrow hopefully! It’s ghetto fab but a step up from the one I had mentioned yesterday. I can’t wait to get to the Eagle arena and really start balancing work. 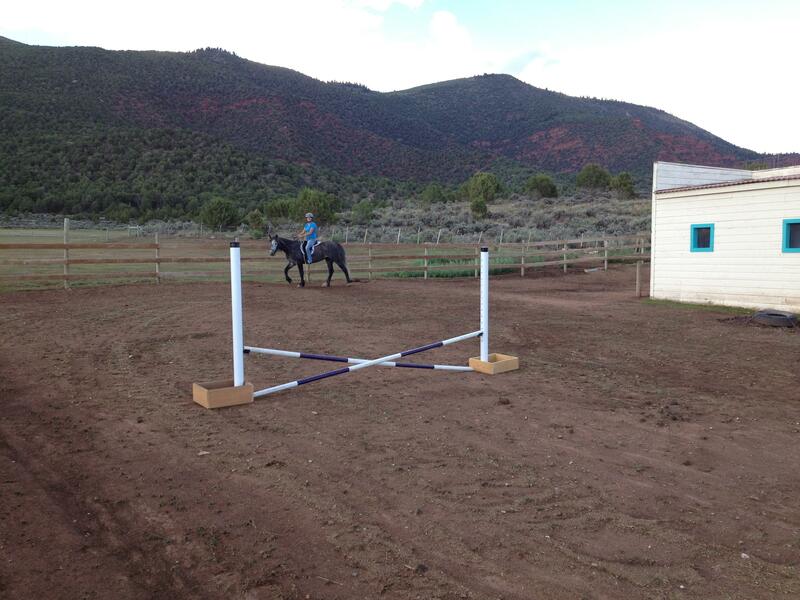 We need those large circles, serpentines, and the extra space to work on our canter. Plus they have a round pen for us to do mustang-things in. Our left lead canter is getting pretty good, right lead has improved when picked up after a jump but not really when picked up from just schooling. The canter is a reflection of balance at the trot, foundation building really, and I know we aren’t where we should be in that regard. The “arena” we post pics of us riding in is really a large pen, with a tack barn in the middle, making certain exercises impossible. I only canter there at this point to keep that gear going, and it’s short spurts, mostly just if he is listening to my cue. 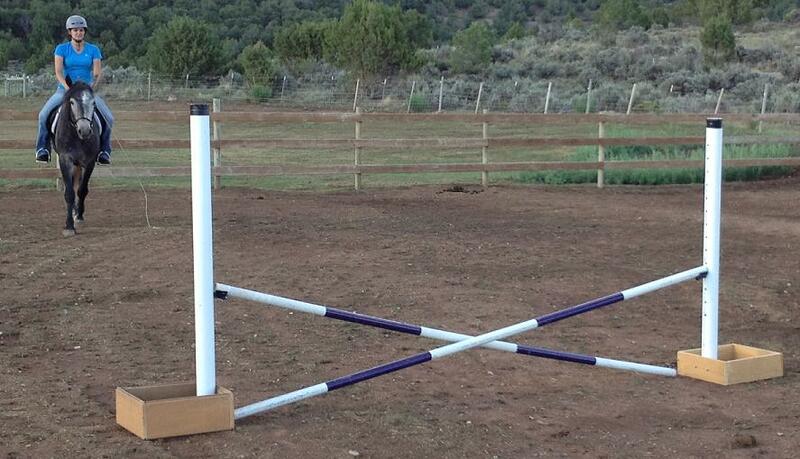 These pictures make our riding pen look deceivingly large, but it’s not suitable for 20 meter circles or even serpentines. The real work is going to start soon, little Cello! 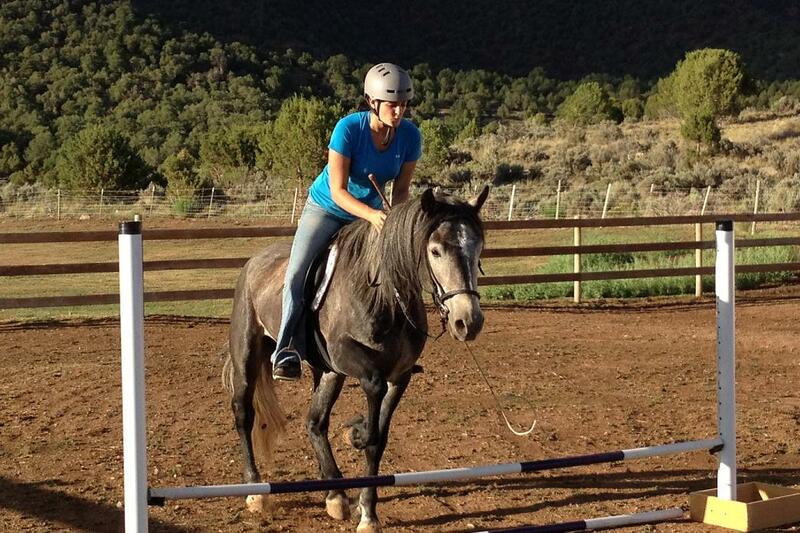 An example of his “Friesian trot”, my “up” face is priceless and yes I was glancing down, not what you are supposed to do. 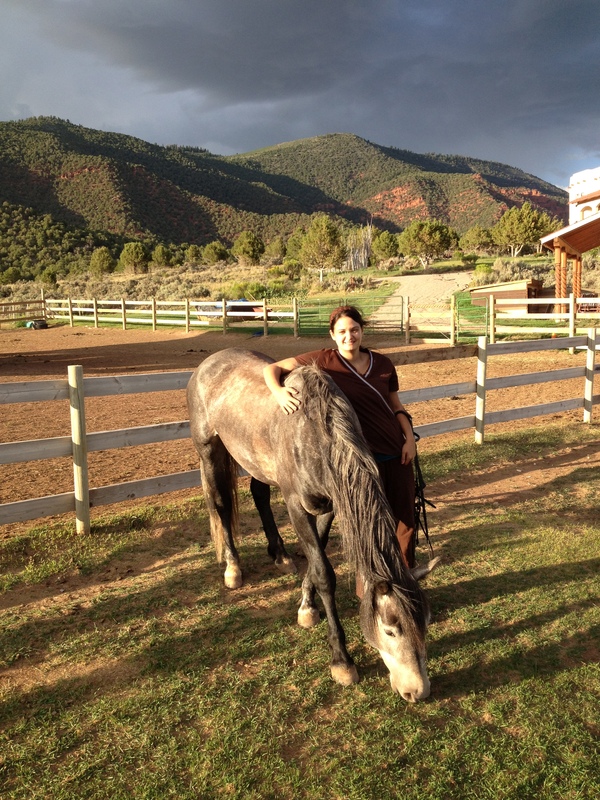 This entry was posted in Beginnings, New Things/Breakthroughs, Training Philosophy and tagged Blm mustang, Cello, Dani Neumann, Extreme Mustang Makeover, skylark riding programme, therapeutic riding, wild horse project. Bookmark the permalink.